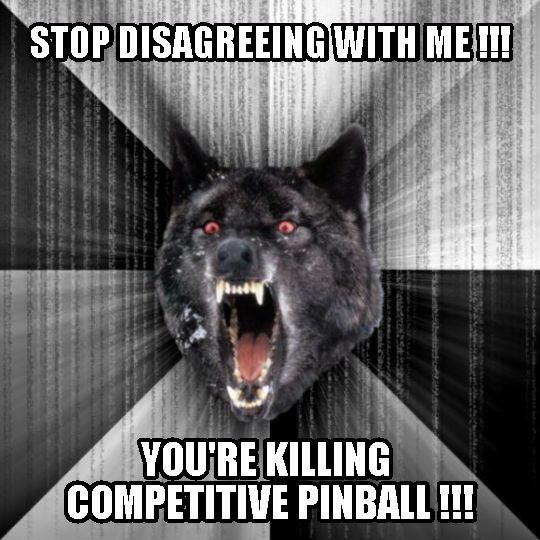 Try to resist the urge to replace “competitive pinball” with other things. Or don’t. Do whatever you want and stuff. 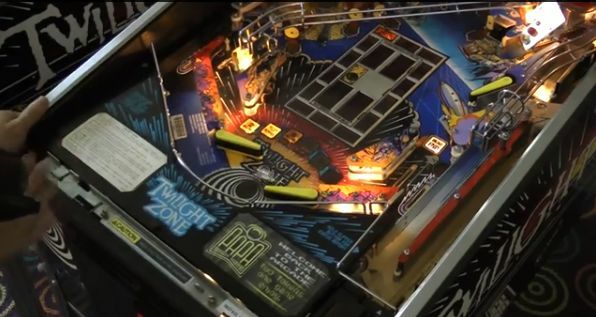 Just remember that whatever you decide to do or not do, you are killing competitive pinball and pinball in general. Stop doing that. Here is a more generic one because reasons. 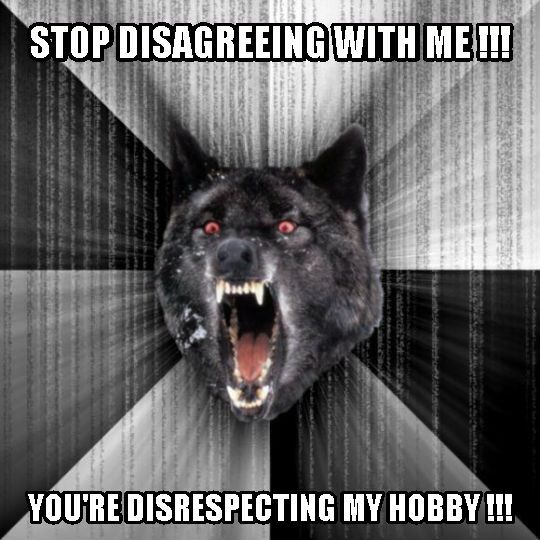 I just caused grievous harm to competitive pinball and other hobbies too. I am empirically a bad person.